College level education can be quite costly. For this reason, colleges and universities have come up with some of the best financial aid systems to help students pay for their tuition and academic costs. These systems include work-study opportunities, endowments, private scholarships, institutional grants, state scholarships, fellowships, institutional scholarships and institutional funds. Most institutions grant financial aid to students who have a good academic standing. Some Financial Aid Programs require students to be already enrolled to a program at the University before they can apply for aid. When looking for a college, it’s advisable that you research the financial aid policies of different schools then settle for one that will be of benefit to you. We assessed Colleges based on the number of Financial Aid Programs available, the support the University provides to students and feedback from Students. The following Universities have some of the best financial aid programs in the USA. 1. California State University – Dominguez Hills. For full-time students, tuition costs $6,134 per year, and for part-time students this cost is $3,836 per year. Located in Carson, California, California State University Dominguez Hills has a vast selection of academic programs including degrees such as Africana Studies, Art, Business Studies, Computer Science and Biology among many others. Premier scholarships are available to students. For example, the Presidential scholarships covers tuition fees for selected freshmen for a period of 4 years. Others include the Katherine Bogdanovich scholarship, the Honors scholarship and the Other Scholarship that award up to $4,000 annually. Numerous university scholarships are exclusively available to students of the university. Some, such as the Anne Peters Memorial Scholarship for sociology students, are specific to students of certain programs. Various grants from federal, state and other sources are available. The Pell grants, Iraq and Afghanistan grant, CAL grants and TEACH grants are excellent examples. A vast array of loan programs are easily accessible, such as the Federal Perkins Loan. The Federal Work Study Program assists students to get suitable jobs even as they continue to study. 2. California State University – Los Angeles. At the California State University – Los Angeles, tuition costs approximately $6134 per year. California State University – Los Angeles vast selection of degree programs all fall in one of the following colleges: The college of Art; the college of Business Administration; the college of Nursing;.the college of Education; the college of Television, Film and Media Studies; the college of Psychology; and the college of Communication. The Middle-Class Scholarship targets families with an annual income of below $150,000 for financial assistance. State-funded grants such as the Cal A and Cal B grants are dedicated to needy students to assist them to afford tuition. Other scholarships exist from the institution and private sources. They include the General Scholarship and the Emerti fellowships. 3. University of North Texas. With a statutory tuition cost of $50 per credit hour for residents, and $440 per credit hour for non-residents, the University of North Texas, located at Denton, Texas, offers a very affordable path to higher education. University of North Texas university offers 99 bachelor’s, 83 master’s and over 30 doctoral degrees from its various academic departments such as the college of Education. It offers over $36 million in scholarships and over $320 million in financial aid. It has special scholarships that are specific to undergraduates, transfer students and other groups such as the UNT Meritorious Scholarship for National Merit Finalists. Other scholarships are available from university departments, external donors and other private sources. Grants such as the Federal Pell Grant, the UNT tuition grant and the Emerald Eagle Scholars Award are available to students based on need and merit. Student employment programs award up to $4,000 each year. Tuition at this university costs just $4,800 a year. Its accredited academic programs include about 50 majors from the school of: education, arts and humanities, continuing and professional studies, natural and social sciences, and lastly, the school of health sciences, human services and nursing. Lehman College boasts world-class facilities. It provides student-centered learning through an internationalist approach that sees students travel abroad to countries like Greece and Korea. The Tuition Assistance Program funded by the State of New York targets students with demonstrated financial aid. The state-funded City University Student Tuition Assistance, exists to complement TAP, should it be insufficient. In addition to the Federal Pell grants, the Federal SEOG grant is reserved for students with exceptional financial need. The federal work-study program is awarded to students who have completed their FASFA on a first-come basis. It awards a maximum of $2,000 annually. The Academic Competitive grant and the National Science and Mathematics Access to Retain Talent grant (SMART) are also awarded to students based on academic merit. The federal Perkins loan awards a maximum of $1,800 that can be applied towards both direct and indirect academic costs. 5. CUNY John Jay College of Criminal Justice. With tuition rates of $5,065 per year, the John Jay College is committed to making quality higher education affordable. The John Jay College holds international recognition for quality justice programs that satisfy the intellectual curiosity of all learners, and encourages them to pursue knowledge and put their skills to the test. Several federal and state grants are available. They include the Aid for Part-Time Study (APTS), Tuition Assistance Program (TAP), and the Veterans Tuition Awards. Awards for some of these programs are as high as $4,000 annually. Low-interest loans such as the Federal Perkins loan and the Federal PLUS loan are available for students to exploit. Federal work-study programs are abound at the university through its office for financial aid. Lastly, a vast array of scholarships targeting various groups of students exist. Some include the Sebastiano “Sabby” Crecco Memorial Scholarship, the Hecht scholarship and the Computer Science and Forensic Science Scholarship. 6. University of Louisiana at Lafayette. The net price of tuition is $7,920. With creative ways to make learning fun, the University of Louisiana boasts quality academic programs such as Education, Architecture and Chemical Engineering. The Tuition Opportunity Program for Students (TOPS), is a scholarship program that targets high school graduates from Louisiana who chose to attend the university. It awards over $2,000 annually. Federal, University and private scholarships exist. They target specific groups such as freshmen, military students and veterans. The Louisiana GoGrant provides need-based funds to low-income students with a maximum award of $3,000 each year. Federal work-study programs help students find part-time employment upon completion of their FASFA. Student loans such as the Federal Stafford loan are available. Interest is charged only upon completion of one’s degree. Private loans are also available but are generally more expensive. Located in Flushing, New York, tuition at this university costs $6,200 per year. Some of the unique programs available at Queens College include Animation and Illustration, Women’s Studies, Ancient Greek and even Yiddish. Students are also encouraged to get involved in the various community outreach programs that aim to work with the deaf, blind, the elderly and high school students. Through the office of Honors and Scholarships, students are eligible for awards ranging between $200 and $2,000 per semester. The university maintains a listing of national scholarship awards that it assists its students to apply for. Work-study opportunities include the Jeanette K. Watson fellowship, which is a paid internship program. The William D. Ford Federal Direct Loan Program is one of many loan programs that award students with long-term low-interest loans. The SEEK program targets high school graduates who are unable to attend university without assistance for aid. The Tuition Assistance Program also provides financial aid to needy students. Net tuition at this cheap university is priced at $6,637. One can consider a degree in music, the arts, business and management, or even the unique graduate degree program in Public Health Studies. Other programs available include actuarial mathematics, accounting, education and biology. Brooklyn College programs are designed to kick start the careers of its students. Brooklyn College offers over 600 scholarships and up to $1 million dollars in financial aid. Various institutional grants such as the Zicklin Summer Fellowship and the Petrie Emergency Grant are available to students with awards of $2,500 and $1,500 respectively. Several of its financial aid options are dedicated to special groups. For example, the Zicklin Summer Fellowship is reserved for sophomores. Minorities, non-US citizens and top academic achievers also have funds dedicated to them. Various opportunities for gainful employment are available to students. 9. California State University – Fresno. The annual cost of tuition at this university is $6,628 annually. Commonly referred to as Fresno State, if offers many programs across the spectrum; from undergraduate to PhD degrees, in line with its scholastic reputation. Majors are available in areas of study such as communications, industrial technology and business administration. The university awards over $3.8 million dollars in scholarships. Individual awards range from $100 – $3,500 or even full tuition. Fellowships that target graduate students of programs such as criminology and creative writing, cover full tuition for recepients. Federal grants, including the Pell grant, and federal work-study programs are available. The university also administers federal loans to assist students in covering tuition. Tuition costs $8,788 per semester for residents and $14,209 per semester for non-residents. Northern Kentucky University offers over 67 bachelor’s and 23 master’s degrees in many different areas. Majors include accounting, education, french, geography, biology, musical education and many more. Several scholarship opportunities that target groups such as freshmen, transfer students, native Americans and military students. Three institutional grants are available. They are as follows: the Northern difference, the freshman/sophomore grant program and the Strive NKU Promise Program. Student employment programs are also available as well as student loans and the Parent PLUS loan. 11. University of Texas – El Paso. With a net tuition of $6,089 many students choose the University of Texas at El Paso for its affordable rate, and the varied academic coursework. Majors are available in Computer Information Systems, Environmental Engineering, Art Education, and Clinical Laboratory Science among others. A strong emphasis is placed on research and the university plans to dedicate a whopping $100 million dollars towards research. It runs a grant program, UTEP Promise, that provides full tuition for all four years for undergraduate students who are in crucial need of financial aid (who come from a family whose income is $30,000 or less). The university lists several merit-based institutional scholarships. These include the Presidential scholarship, the Presidential Leadership scholarship, the Presidential Excellence scholarship and the Academic scholarship.Awards are between $12,000 and$24,000 per recipient. Private scholarships also are available. Some of them target valedictorians, non-U.S. students and graduate students. Tuition at this university costs $560 per credit. This translates to approximately $3000 per semester. Through its three colleges; The Zicklin College of Business, The Weissmman school of Arts and Sciences, and the School of Public Affairs, the university offers numerous academic programs at the certificate, undergraduate, graduate and doctorate level. CUNY Baruch College programs explore critical areas such as Marketing, Real Estate, Accounting, Black and Latino Studies, English, Communication Studies, Performing Arts, History, Mathematics, Journalism and the Writing Professions,Modern Languages and Comparative Literature, Philosophy and Natural Sciences. CUNY Baruch College offers more than 100 institutional scholarships. Some are based on merit and others based on need. These include the Baruch College Fund, the Arthur Milton Memorial scholarship, Anonymous scholarship and the Aaron and Rose Shapiro Scholarship – to name a few. $1 million in financial aid is disbursed yearly to over 350 undergraduate students. The school’s website maintains an extensive list of external fellowships and scholarships for students to explore and take advantage of. Federal work-study arrangements are available through the school. A few loans are available to students. Tuition costs $5,820 per year. The New York City College has a reputation for constantly supporting research and consistently encourages its students to undertake independent research projects and document their findings. Students can earn funding for their projects, collaborate with academic professionals and even have their results published. Areas of study include chemical engineering, electronic design, popular music, advertising, environmental science, Asian studies, Black studies, electrical engineering, business and accounting, history and french. UNY City College has on offer 16 scholarships that are institution-funded. Majority of them are based on merit with some of them being reserved for specific academic programs. The CCNY New Era Scholarship is a merit-based scholarship that is available for freshmen who scored in the 75th percentile on their SAT exam. Other options include a federal work-study program, federal direct loans, and the SEEK program. 14. University of North Florida. Tuition at this university is $493.39 per credit for graduate residents and $175.21 per credit for undergraduate residents. For non-residents, the cost per credit is $522.50 and $655.34 for undergraduates and graduates respectively. Areas of study explored at the University of North Florida include degree programs such as: accounting, transportation and logistics, marketing, civil engineering, physics, education, history, french, geography, psychology, electrical engineering and many others. The university offers 44 scholarships. Some are based on need and others are based on merit. Incoming students at the university who have graduated from some certain high schools may be eligible for a scholarship program known as the SWOOP Scholarship.This scholarship awards $2,000 each year for all the four years of undergraduate studies. Other scholarship opportunities are available that target special groups such as international students. 15. California State University – Fullerton. Net Tuition at the California State University at Fullerton costs $6,885, making it one of the most affordable colleges. Students can choose from over a hundred options for degree programs. These include 55 undergraduate degrees and 50 master’s degree programs, offered through eight unique departments. California State University Fullerton has some of the most reputable programs in fields such as Art, Business, Accounting, Marketing, Biotechnology, Civil Engineering, Japanese, French, Business Administration and Marketing – to name a few. The university offers 39 institutionally funded scholarships that are available to all students regardless of their majors of choice. They include the Bobbe Browning Memorial Scholarship, Army ROTC Scholarship and the Alumni Association Scholarships. Awards range from $500 to covering full tuition. Over 10 departmental scholarships are available. They are associated with certain academic programs and student organizations. The university offers over $2 million dollars in financial aid annually. 16. California State University – San Bernardino. With an approximate net price of just $6,500 annually, the San Bernardino College is one of the most affordable accredited colleges in the state of California. California State University San Bernardino offers plenty of academic opportunities all the way from certificate programs through to master’s degrees. Moreover, many majors also include several concentration options. Students explore topics such as Chemistry, Archaeology, Accountancy, American Studies, Cyber Security, Education, and Bioinformatics. Students with family incomes too high for federal assistance, but too low to finance their education are specifically targeted by the California Middle-Class Scholarship for tuition assistance. The school maintains a financial aid portal on their website to inform their students on important financial aid opportunities. Several grants are available with most of them targeting undergraduate students. They include the State University Grant, the Federal Pell Grant and the NATIONAL COLLEGIATE ATHLETIC ASSOCIATION (NCAA) Athletic Grants-In-Aid. The Direct PLUS loans and other student loans are available. Veteran students have access to several benefits that help them afford their tuition. 17. CUNY – Hunter College. With a net price of $7,518, Hunter College easily qualifies for an affordable college ranking. CUNY Hunter College offers degrees at both the undergraduate and graduate level, and since 2008, has been offering doctoral degrees as well. It offers programs such as Education, Nursing, Public Health, Gerontology, Early Childhood Education, Biology, Bioinformatics, and Physics. Several programs are available in addition to several federal and state-sponsored opportunities for financial aid such as the Federal Pell Grants, the Tuition Assistance Program and the SEEK program. Over 100 governmental and private scholarships are available at Hunters College. For international students, the college maintains a detailed guide to grants and loans available to them. Five college study programs are also available to students some of which offer stipends of $450 each week. On average awards can range from $500 to $15,000. 18. CUNY – Staten Island. For residents, in-state tuition and fees is $6,509, and for non-residents it is $16,529. Some of the most popular majors at the College of Staten Island are as follows: Business, Marketing, Management, English Language and Literature and Social Sciences such as Psychology. Others are in programs in areas as varied as education, nursing, music, pre-medicine and computer science. Federal grant programs include the TEACH grant, Pell grants, and the federal SEOG grants. Federal work-study opportunities abound at the university. The Tuition Assistance Program and other state-funded financial aid programs are available. 13 scholarships are available specifically for students with disabilities. Students may qualify for several other merit and need-based grants and scholarships. 19. Louisiana State University – Agricultural and Mechanical College. The net price of tuition at this university is about $7,000. Louisiana State University boasts numerous prestigious academic programs with a huge number of undergraduate options. Dedicated students can also attend honors classes or even apply to one of the many programs at the master’s level. The university awards scholarships of $3,694 on average to each of its receiving students. $4,478 of federal grant aid, on average, is awarded to over 1,000 students, in addition to scholarships. Over 100 merit-based, as well as need-based scholarships are available.Most of these are departmental scholarships that are reserved for students of a business major. Students with a minimum G.P.A of 3.0 may be eligible for the LSU foundation award. Tuition at the Indiana University at Bloomington costs $10,388 for undergraduate residents. The university is home to more than 550 stand-alone degree and certificate programs. In addition, some programs require that an area certificate be earned in conjunction with the degree. There is also the option for undergraduates to create their own individualized degrees. Some of the readily available programs include Education, Accounting, Economics, American Studies, African Studies, Education Law and several others. Students have access to federal aid options that include the Federal Pell grant. From the state, financial aid options include the 21st Century Scholars Program, O’Bannon Grant and the Child of Veterans and Public Safety Officers (CVO) Supplemental grants. Through the Indiana University Pell Promise award, enrolled students with a consistent GPA of 3.0 or higher who are receiving the Federal Pell Grant, will have their remaining tuition paid for by the Indiana University. Tuition at Marshall University has a net price of $8,457. Students have the options to academically pursue degree programs in genetics, cellular biology, nutrition, nanosystems, rural health, computer science, education, economics, meteorology, international affairs, and modern languages and plenty others. It awards over $144 million dollars in financial aid. Both merit-based and need-based scholarships are available to the entire student body. However, some target only niche groups such as incoming freshmen, athletes, and top performers. This includes institution scholarships like the Marshall University Foundation Scholarship, as well as outside scholarships. Several work-study opportunities are available both on and off campus. Students also enjoy Medical school Aid, and veteran educational benefits for military students. The price of tuition at this university is $10,203. Appalachian State University offers over 150 programs through six degree-granting colleges. They are as follows: Reich College of Education, College of Fine and Applied Arts, College of Arts and Sciences, and the Walker College of business among others. Degrees available include Computer Science, Criminal Justice, Education, English, Economics, Geology, Gender Studies and others. A vast variety of scholarships are available and the office of scholarships continues to update students on the availability of scholarships they may be eligible for. About 20 foundational and institutional scholarships are exclusively available to students who attend this university. They include the Alumni Memorial Scholarship, Beatrice Watts Memorial Scholarship, Appalachian Student Memorial Scholarship and the Bob & Minnie Snead Minority Presence Scholarship, to name but a few. Other need-based and merit-based grants are available through the state of North Carolina. Federal work-study is available to needy students. Those who aren’t eligible are encouraged to explore Appalachian State’s online portal for student employment. The net price of tuition at this university is at $9,137. Students can choose to major in areas such as Architectural Studies, Aviation Management, Family and Child Studies and Geographic Information Science among many others. Programs at Louisiana Tech University offered from the bachelor’s level all the way up to the doctoral level. In addition, there are several certificate programs. More than 70% of students at the Louisiana Tech University receive some kind of financial aid. There are several scholarship opportunities available. Some are departmental while many others are from private external sources. State-sponsored financial aid options include the TOPS program, and the Louisiana GoGrant. Disabled students may qualify for financial aid through a grant program known as the Louisiana Vocational Rehabilitation Services program. The net price of tuition is $9,971. Other than the affordable tuition rates, students apply to Texas A&M University for the over 100 undergraduate and graduate degrees that it offers. It emphasizes scientific and technological research with millions of dollars pledged to this sector. Over 18 study abroad programs are available to students, not to mention the abundance of internship opportunities in the surrounding Dallas area. Over $75 million dollars is made available in the form of financial aid to students. The Century Scholars program, the result of collaboration between the Texas A&M and several Texan High Schools, awards $20,000 dollars to exemplary freshmen. Several scholarship programs are available at this university such as the Regents Scholarship, the Terry Foundation Scholarship and the Greater Texas Foundation Aggie Scholars Program. 25. North Carolina State University. Its engineering programs have been ranked among the top of all undergraduate programs by the U.S News and World Report. North Carolina State University has other excellent programs in the arts, the sciences, nursing and technology. Examples of the degree programs available include: Agricultural Education, Accounting, Civil Engineering, Computer Science, Aerospace Engineering, Biology and Computer Science. Nine Institutional grants are available to students of the University of North Carolina System. The university offers targeted scholarships for groups such as incoming freshmen, international students, and masters level students. Student employment is available through the Career Development Centre. 26. The University of North Carolina – Chapel Hill. This best value school has a tuition and fees cost of $8,562. the College of Arts & Sciences, Education, Dentistry, Graduate School, Eshelman School of Pharmacy, Law, Friday Center for Continuing Education, Medicine, General College, Nursing, Gillings School of Global Public Health, Social Work, Kenan-Flagler Business School, Summer School, Government Information & Library, Science, Journalism & Mass Communication and Social Work. Needy students who are eligible for federal financial aid have access to Laptop grants through the Carolina Computer Initiative. High-achieving freshmen with excellent grades and SAT scores are eligible for the James M. Johnston scholarship that is reserved for students from families with a low income. This is a need-based scholarship. Other merit-based scholarships include the Old Well and Founders Scholarship and the College Fellows Scholarship that award $3,000 and $2,500 a year respectively. Other financial aid options include grants, loans and work-study. 27. University of Michigan – Ann Arbor. The University of Michigan-Ann Arbor is a leader in quality accredited academic programs delivered through its 19 colleges. They include Architecture & Urban Planning, Dentistry, Art & Design, Education, Business, Engineering, Law, Information, Literature, Kinesiology, Science, and the Arts, Nursing, Medicine, Music, Theatre & Dance, Pharmacy, Natural Resources & Environment, Public Health, Social Work, Public Policy, Rackham School of Graduate Studies and Social Work. The state-sponsored Michigan Competitive Scholarship is available and resident students are encouraged to apply. Another state-sponsored scholarship available is the Tuition Incentive Program (TIP). Academic departments award scholarships to students that are pursuing degrees in their respective fields. Work-study opportunities are available through federal and non-federal programs. Several grants are available from external sources. 28. Georgia Institute of Technology. Tuition per semester at Georgia Institute of Technology is $6,726. On offer are over 35 undergraduate majors and more than 50 minors in every science and engineering-related discipline, as well as in other areas such as business, sports, public policy, and pre-professional areas. Georgia Tech offers more than $105 million in financial aid. The Georgia Tech Fund, provides financial aid for selected students who have demonstrated great need. There are over 26 departmental awards that are reserved for upperclassmen with excellent academic records. 12 merit-based scholarships are available and students are encouraged to apply. Students enrolled on the work-abroad programs, research assistantships and internships are in paid positions. This helps makes tuition affordable. Tuition at the University of Virginia costs $10,016 approximately. It offers excellent academic programs through various departments such as the School of Engineering and Applied Sciences, the School of Architecture, the School of Medicine, and the School of Arts and Sciences among others. University of Virginia students may be eligible for the Virginia Commonwealth Grants which award $3,000 per year to each recipient. Federal financial aid options include grants, such as the Federal Pell Grant, and scholarships. The DC Tuition Assistance Program is available to students who hail from Washington D.C. This program pays the difference between in-state and out-of-state tuition. This is up to $10,000 a year. The university keeps a listing of all available scholarships online on its website. It also assists students to apply for them. 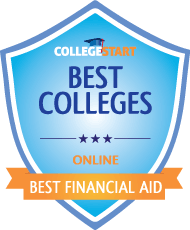 Several other respected websites have listed their own version of Universities with excellent financial Aid Programs. TIME list of colleges with most generous Financial Aid. The article provides information on college financial aid using a number od criteria including percentage of students getting merit award and average merit grant.